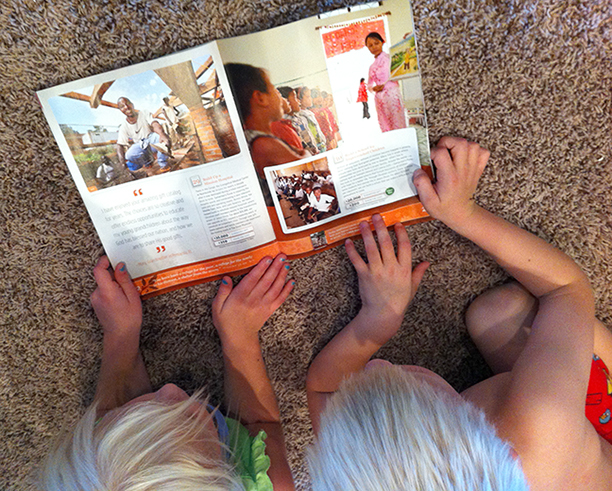 I love this format from Samaritan's Purse. Their Gift Catalog is full of photos and detailed descriptions of all the charity work they do throughout the world. I sat with my kids and read about the building of schools, providing of clean water so families have LESS far to walk for their daily water supply - which will now also be sanitary, baby chicks that grow to produce eggs for eating and selling, doctors & medical supplies so poor children will have care. . .
We had a great discussion of how thankful we should be for living in this country of abundance and to understand how Jesus has called us to care for the poor and needy wherever they may be. The Thanksgiving Holiday meaning right into the Gift of CHRISTmas. 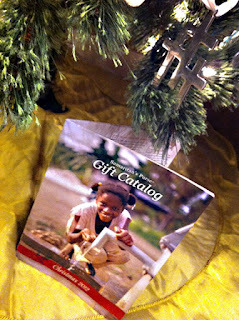 We gave each of our kids an amount of money that they could spend on one or more of these gifts for others. My daughter chose school supplies and seeds/tools for farming, while my son wanted to give baby chicks and warm blankets for disaster aid. What are some ways you instill in your children compassion and a spirit of giving? Please share your ideas in the comments. Thank you! 25% off in my art Etsy shop TODAY and TUESDAY.